The recent terror attacks in Paris shook the world and put the focus back on Islamic State. The terror group proved once again it could reach beyond the borders of its territory and strike at Western civilians. The United States, France and Russia all conduct regular air strikes against the terror group … but is it working? 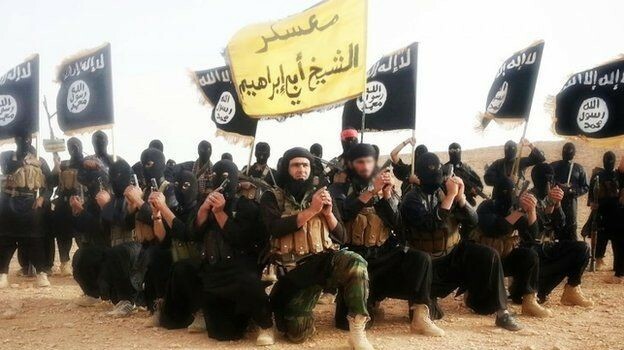 Islamic State is a military, a makeshift country and a terrorist organization. In the past few months, the Caliphate has shrunk after losing Sinjar, Kirkuk and the Baiji district in Iraq. But the attacks in Paris show that a military victory against Islamic State will not be the end of the group. As it loses territory and the ability to govern, Islamic State will increasingly turn to more traditional terrorist methods such as those seen in Paris. This week on War College, we talk with American Special Operations intelligence veteran Malcolm Nance. Nance literally wrote the textbook on Iraq’s terrorists and is the executive director of the Terror Asymmetrics Project. A virulent ideology powers Islamic State. It’s not a sect of Islam but a death cult powered by an apocalyptic vision. To beat them, Nance argues, the West must fight against that vision. Ideas are harder to fight than a military. Hard, but not impossible. And Nance believes a few strong words from Saudi religious leaders could change the tide of the entire conflict.